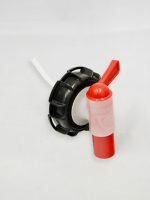 Tap-caps are a breather tap fitted to a cap which is then used on a jerry can to pour or decant product safely and cleanly. 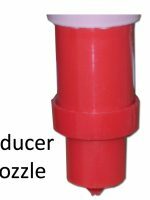 Usually we make these using a specially formed cap (chimney cap) which the tap punches into. However, we can make tap-caps out of most caps so please ask if you have a particular cap that you wish to use. 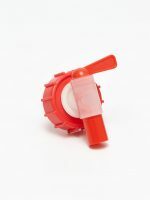 There are a wide range of tap-caps available with different tap colours and sizes as well as cap colours and sizes. Outlet rotates to orient in correct position. Flow rate is 70ml/second (water viscosity) for Aeroflow Taps and 30ml/second for Smooth Flow Taps. 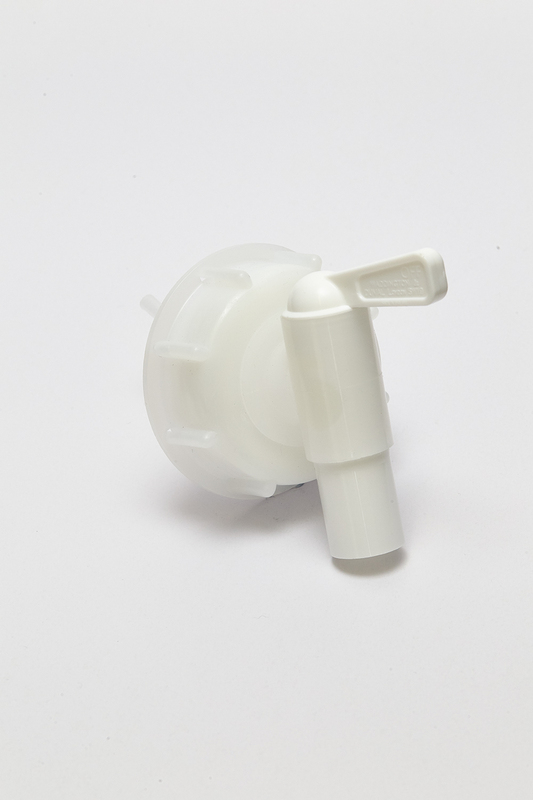 LLDPE body, PP spigot, natural rubber washer. Food grade with wide chemical compatibility. 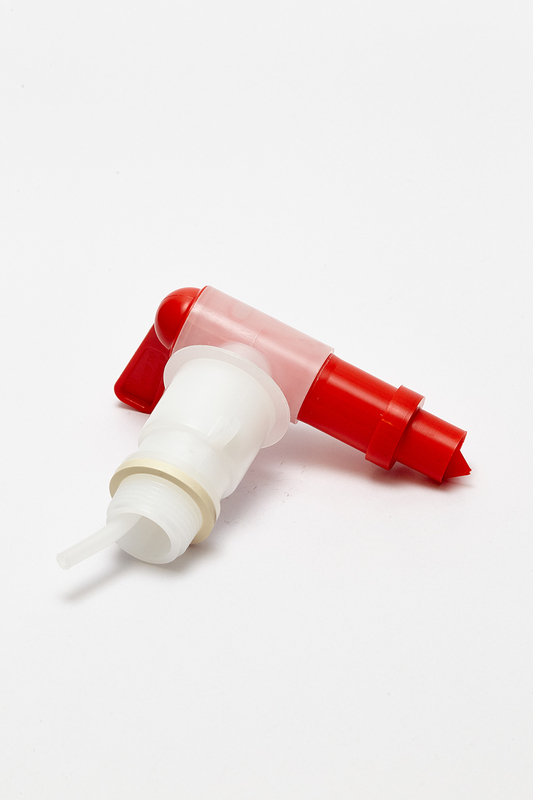 Use with clip-on nozzle (code 204676*) to reduce outlet to 12mm if filling into a narrow opening e.g. spray bottles. 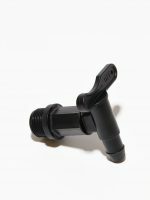 Or use Smooth Flow Tap (12mm outlet) versions. For safety and to prolong the life of your taps we recommend always returning the container to the upright position when not in use. 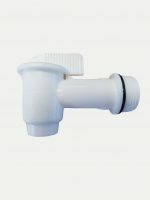 Flush tap with clean water when changing containers and more regularly if possible. 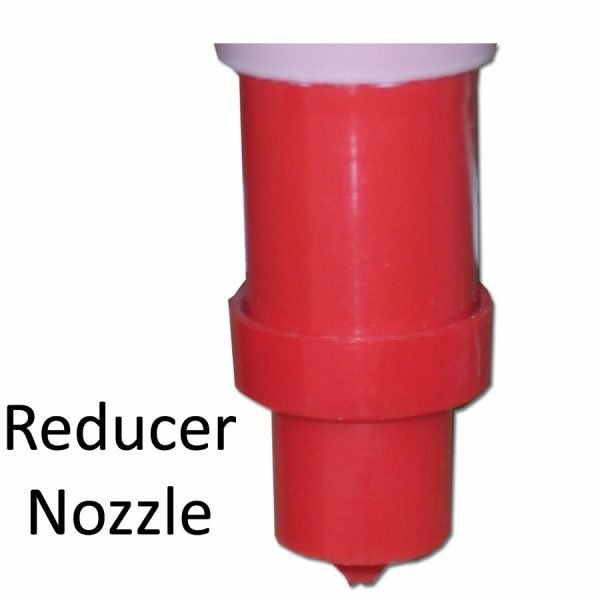 Below are the tap-caps we make using NW50 plastic caps which fit some European jerry cans (60-61mm coarse thread that is also on many IBCs). 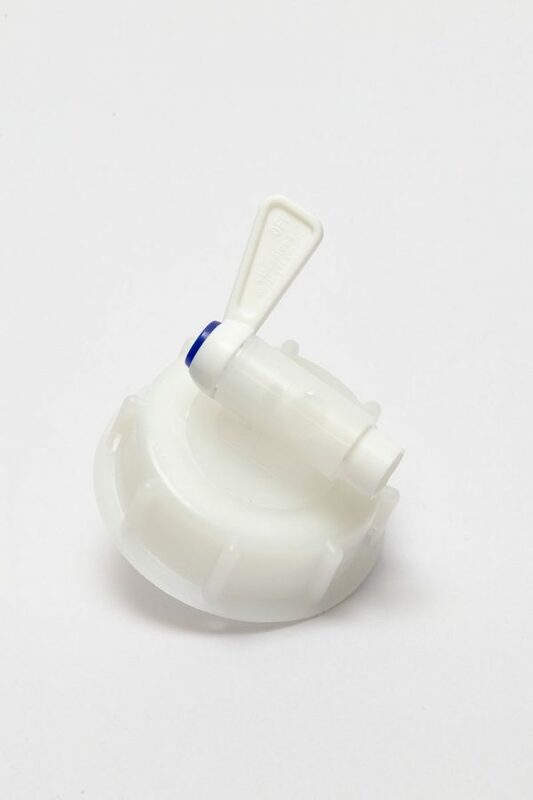 For other sizes please see the tap-cap heading relating to each size. 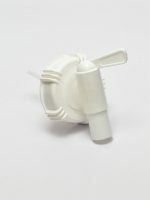 Smooth Flow Tap (12mm outlet) available in white with blue spigot plug. We can fit different coloured plugs but minimums may apply.